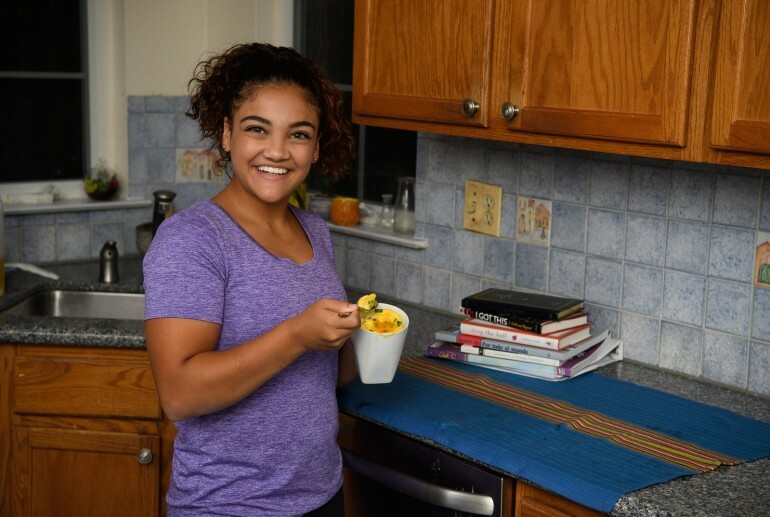 If breakfasts at Tiffany’s sounds like a fancy experience, a breakfast with U.S gymnastic gold medalist Laurie Hernandez, is an unforgettable, powerful, and one of a kind moment your child can live. The American Egg Board (AEB) has teamed up Hernandez to inform parents and kids about how high-quality protein foods, like eggs, can fuel students to perform their best and play a positive role in a kid’s day this back to school season. Latin Times spoke with Laurie about the “You’re Incredible Because…” campaign and contest, that recognizes kids who engage in good social projects in their schools and communities, excelling in sports or extra-curricular activities, raising money for those in need and more. “Eggs have six grams of protein, so as an athlete egg is my number one source,” tells Laurie. “My mom taught me that since I was little, so I think that was the first thing I learned to cook for breakfast,” remembers the athlete. Hernandez also said all the amazing and nutritional benefits that can be found in eggs, without forgetting to mention how eggs can improve mental health in kids, which will be necessary to improve test scores and grades. The U.S Olympic champion invited to all the parents or guardians to be part of the nationwide contest that consists in the search for the country’s most incredible kids. “ To enter the contest, parents can submit a photo or video of the incredible kid to their personal Twitter or Instagram, as well as the Incredible Egg Facebook page with a brief caption explaining what makes this child incredible,” explains Hernandez. “They can submit their posts using the hashtags #IncredibleBecause and #Contest,” she added. All the contest entries are eligible for the grand prize and weekly prizes. “Weekly winners are going to get US$500, baskets and after few weeks there’s going to be a winner who would get a US$2,500 scholarship,” Hernandez told Latin Times. Laurie also announced that she will be hosting a breakfast party for the winners, and assures that “it's going to be a lot of fun.” Those incredible kids selected for the grand prize will receive a school breakfast party with Laurie Hernandez and an all-expenses-paid trip to Chicago to be honored by the American Egg Board. Microwave Coffee Cup Scramble: Microwave coffee cups are mess-free and as simple as dropping your ingredients into a mug and pressing start on your morning. 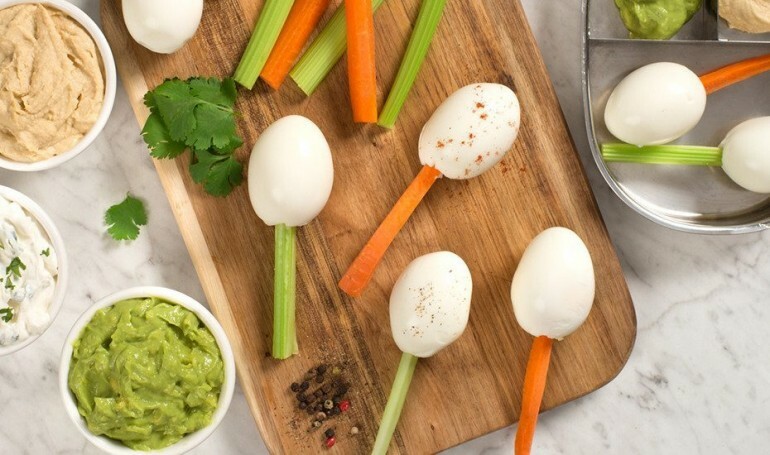 Veggie Egg Pops: Quick and easy to prepare, egg pops are the perfect after-school snack. Simply hard boil eggs, insert a veggie stick and dust with savory spices and sauces for a burst of flavor. Tex-Mex Egg Sheet Pan Dinner: The egg sheet is a one-pan dish that packs your favorite ingredients into one delicious and easy-to-clean dinner.